Tuesday 10th May - Me and my mate went to Hammersmith Apollo for the Blackstar (Talib Kweli & Mos Def), De La Soul and Rakim. When I found out these 3 hip hop greats were going to be in london, I knew i had to get tickets asap. Anyway we got there, didnt need to spend ages in the queue. One thing I do hate about Hammersmith Apollo is that they charge RIDIC prices for food. Hotdogs were £4 and a bottle of Smirnoff £4.70 kmt. We got to our seats and waited about 20 mins before the show started. It got PACKED within mins. Defo a sold out event. I loved the fact that despite it being a hip hop concert, there were people of all ages, races and backgrounds there all enjoying under one roof. 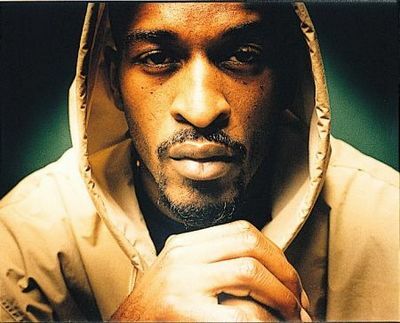 Hip hop great, Rakim came on first and sprayed a few of his classics. He apparently hasn't performed in 15 years. Not to be rude but you could defo tell. He was really working the crowd and the energy just wasn't there. He closed his performance with his classic 'Paid in Full'. The whole crowd went WILD!! The vibe was excellent. De La Soul came on 2nd. These guys have not aged one bit. They also performed some of their classics such as 'Me, Myself and I' and 'Ain't all good'. I think they did a 45 min set. The vibe was live and kicking. These guys had the most energy ive seen in a live perfomance for a while. EPIC! The funniest part was when a girl in the crowd was not vibzing to thhe song they were performing. They cut off the music, called her in front of the whole audience. EMBARRASSMENT! They did this a few times, but not in a way to mock their audience but to make sure that EVERYONE appreciated their performance and most importantly enjoyed themselves. Overall the night was good. I do have some photos and videos on my blackberry of the event but the quality is PANTS. Apologies, I couldnt be asked to bring Venus (my SLR) with me this time. This is why im in love with Kanye West.